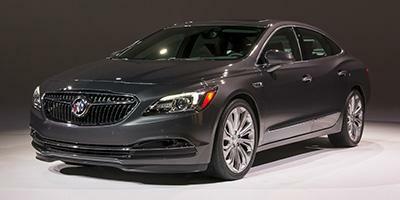 Hendrick Buick GMC Cary, near Raleigh and Durham, offers the new LaCrosse to all customers. It is a full-size car that is adaptable and roomy. You are able to stay connected and comfortable on the road with available 4G LTE Wi-Fi technology and a cabin specifically designed for noise and vibration reduction. It is equipped with a 3.6L V6 engine, with the option of all-wheel drive and Sport Mode for a more athletic drive. State-of-the-art safety features such as front automatic braking and Blind Zone Alert can help you stay safe as you drive. See above for additional details, or visit us, your local Buick dealer, to take home this vehicle.